This quilt is quite the memory quilt. I wish my photos could capture how dear this is! As the maker’s nearly first start into quilting, that in itself is a memory to hold. 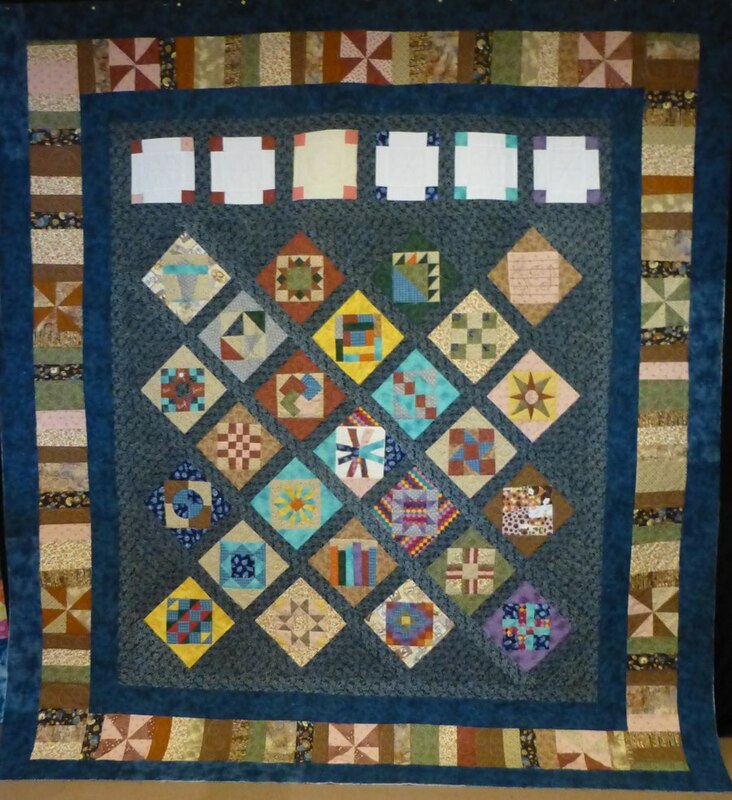 Based on ideas from the book, A Quilter’s Diary by Mimi Dietrich, this quilt holds a rich family history! I wish you could hear the stories behind the blocks. It is so fascinating! The near top row of mostly cream blocks fall across the pillows on a made bed. Great planning! The center block of that row is an old quilt block made by her great-grandmother. 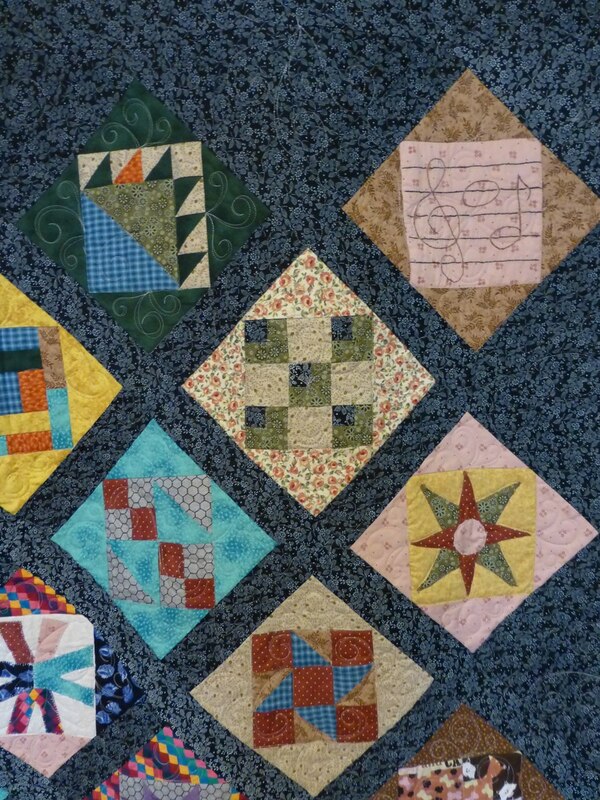 Then she repeated that block pattern across the top and my quilting in those blocks mimics the original block. Here are some close-up peeks at the blocks and borders. I did custom freehand quilting on all of the quilt. 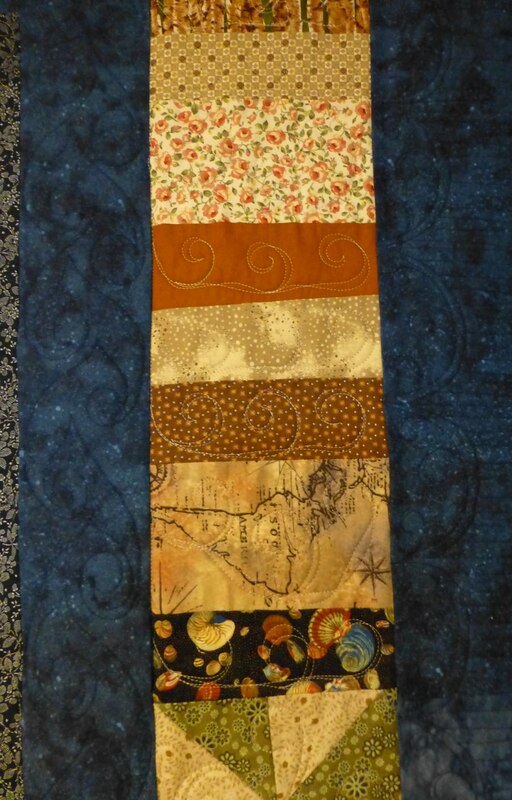 Each block is quilted to go along with the block design and I kept a swirl theme throughout the quilt.